Surf Life Saving is both a sport and a community service, our business is very broad and programmes diverse. SLSNZ’s income is $6m a year derived from sponsorship, gaming machine grants and The NZ Lottery Grants Board. The organisation’s total income is approximately $10m. SLSNZ does not charge a national membership levy, instead providing programmes and distributing over $2m each year to clubs. Find out who are partners are here. The 1930s became a golden age for surf lifesaving. Superstar lifeguards were exalted as heroes of the nation. Theirs were household names. Jarvis. Dalton. Ryan Families of champions. Clubs grew in the respect and esteem of the nation as they won national surf life saving championships. The winners of the Nelson Shield returned as heroes to their hometown or city. They were honoured and feted as today’s rugby stars are. Clubs broke down social barriers and established a comradeship between strangers. Selection from lifesaving tended to break down prejudices. All clubbies were treated equally – lawyers, plumbers and farm hands worked together to save lives. Their only qualification was an ability to move through the surf. A bronze surf medallion (now the Surf Lifeguard Award) was the entry to a new world that didn’t exist in any factory of office block. That egalitarian attitude continues until this day. But women still had to battle for equality. Though they were originally welcomed into clubs as full clubbies, the 1930s saw the heroic bronzed and tanned man become the idealised image of the beach. When those young men went overseas to fight and die in World World II, women again found their rightful place. They took up the reel and patrolled the beach on summer weekends. Surf history shows a string of mass rescues performed by women lifesavers in the 1940s. However when the men returned, those women were often relegated to fundraising, tea making and cake baking. Many broke off and started ‘ladies’ lifesaving clubs, often near the clubhouses of their former colleagues. These days women stand alongside men on surf patrols throughout New Zealand and compete in all the same events. 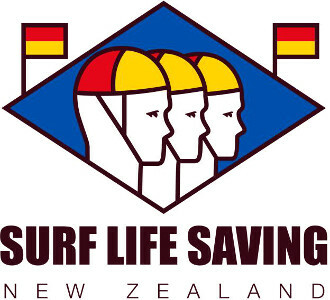 Surf Life Saving in New Zealand these days is now stronger than ever. Every year, hundreds of people are making the same decision as those clubbies back in the 1910. They are joining and origination and family that has seen enormous change in it’s over 100-year history.